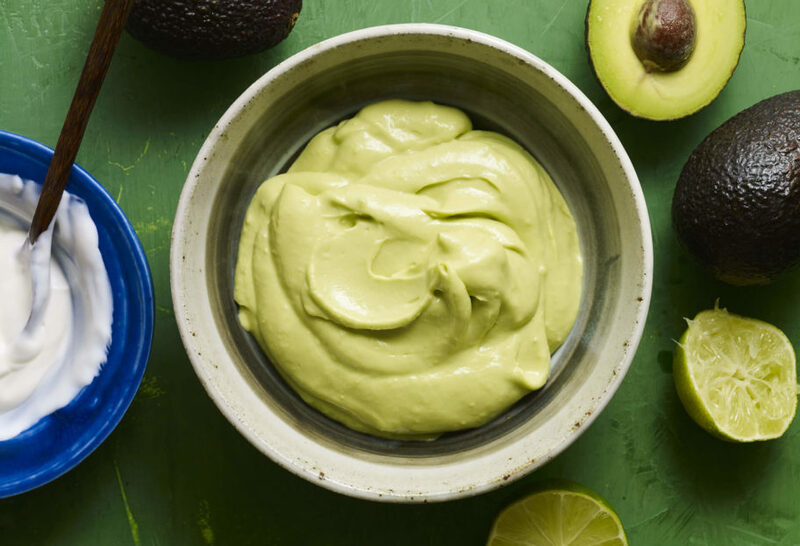 Combine the avocado, crema, garlic, lime juice and salt in a blender or food processor and puree until smooth. Pati, I made this last week as a dipping sauce with some turkey meatballs and roasted veggies, and it was so good! You have never steered me wrong with a recipe yet. So happy to hear this Gina! Thank you. That’s how my mom makes her guacamole but she also adds cilantro. So yummy! She’s from Sonora Mexico. I, here in California, substitute cream for sour cream. My little ones like it better. Thank you for your recipes. I love you and your family. Wrote to you before that I also raised 3 boys same age as your, but now I’m old and not well. I just had heart surgery. I miss my son’s living at home. Anyway I *us want to tell you I love this avocado creme recipe. I wish you were my neighbor or better yet my sister and you could cook for me once a month. I’m to sick to cook like I used to, so I watch your shows and read your cookbooks and pray I meet you some day. God bless you and your family. Feel better soon Francine. Sending you my best. Thank you so much Pati. God bless you and your family. Thank you!! The crema sounds delicious with those ingredients. I will have to try! I am enchanted with the flavor. Not guacamole. So a new taste treat. Kind of like making my own flavored mayo. Went well with pibil sandwich. Would add little adobo sauce to chicken on sandwich and a little salt. Freda, I’m glad you liked the avocado crema! I have just moved to a very rural part of PA, and have not yet found ANY “ethnic” markets nearby. Can I sub sour cream in this recipe? I came here from New York City and the world 20 years ago…lived in Mexico for a short time in 1977 ….I too love Patti and the show….where in Pa do you live because there are many Spanish people and market here…..yesterday I bought Mexican crema to make this recipe……. I actually live in the greater Washington DC area… great to hear you found crema! I thought you lived in Texas lol maybe you spoke of living there previously ? ?